Where to find Shannonville hotels near an airport? Where can I find hotels in Shannonville that are near tourist attractions? 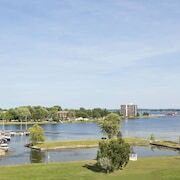 Unfortunately Expedia doesn't list accommodation options within Shannonville itself, but our extensive database has a good selection of short and long-stay options in the area. While it can be a challenge to find a place in Shannonville, it's good to know that Expedia offers about 23 comfortable hotels and apartments within a 0.1-kilometre (0.06-mile) radius. The The Waring House, Ontario, which is the closest hotel, is 20 kilometres (14 miles) from downtown Shannonville. Also, check out the Fairfield Inn & Suites by Marriott Belleville, located in Ontario, which is 16 kilometres (10 miles) away. 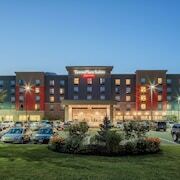 The Hampton Inn By Hilton Napanee is located 20 kilometres (12 miles) from downtown Shannonville. 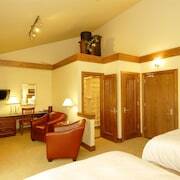 Another option is the Best Western Belleville, which is located 16 kilometres (10 miles) away. Other alternatives around this area include the Comfort Inn Belleville and the Travelodge Hotel Belleville. 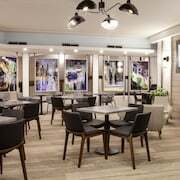 Like to travel a little further afield? Ottawa - Southeastern Ontario has many attractions. Investigate Ottawa - Southeastern Ontario's old towns. Those with a hankering for fresh air and wide open spaces could also make the time to admire its forests, rivers and streams. In this section of Canada tourists might partake in cross-country skiing, snow shoeing and snowmobiling. Trenton is 25 kilometres (16 miles) to the south of Shannonville. While here, be sure to explore the Sandbanks Provincial Park. Picton is blessed with a selection of great Expedia-listed accommodations. While exploring this region, you can also visit Trenton, where you can spend a little time at the National Air Force Museum of Canada. Trenton is located 30 kilometres (20 miles) to the west of Shannonville. 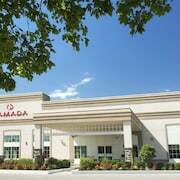 Accommodation options in Trenton include the Comfort Inn Trenton and Ramada Trenton. Get your fix of local sport with a visit to Yardmen Arena, which is 15 kilometres (9 miles) to the west of Shannonville. 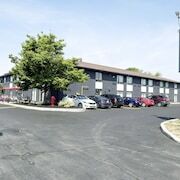 For tourists who are keen on booking a room close by, make a reservation in the Canadas Best Value Inn or Holiday Inn Express Hotel & Suites Belleville. If you are traveling into or out of Norman Rogers Airport and choose to stay nearby try Travelodge Kingston LaSalle Hotel or Bayside Inn & Waterfront Suites. 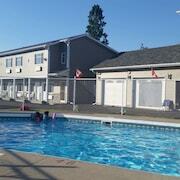 What are the most popular Shannonville hotels? Are there hotels in other cities near Shannonville? 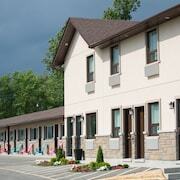 What other types of accommodations are available in Shannonville? Explore Shannonville with Expedia.ca’s Travel Guides to find the best flights, cars, holiday packages and more!